This is a rare recreational retreat on the out skirts of Corpus Christi, minutes away from the Crosstown Extension and Weber Road. This 320 acre ranch borders the Legendary King Ranch and is a sportsman’s paradise. It has everything from deer hunting to duck, geese, dove or quail hunting. It includes a 2,300 square foot home with 4 bedrooms, and 3 bathrooms with a hill country inspired interior design that has an open floor plan that is perfect for entertaining. Store your adult toys in the 2,700 square feet of attached fully insulated garage with in & out 16’ x 16’ garage doors. 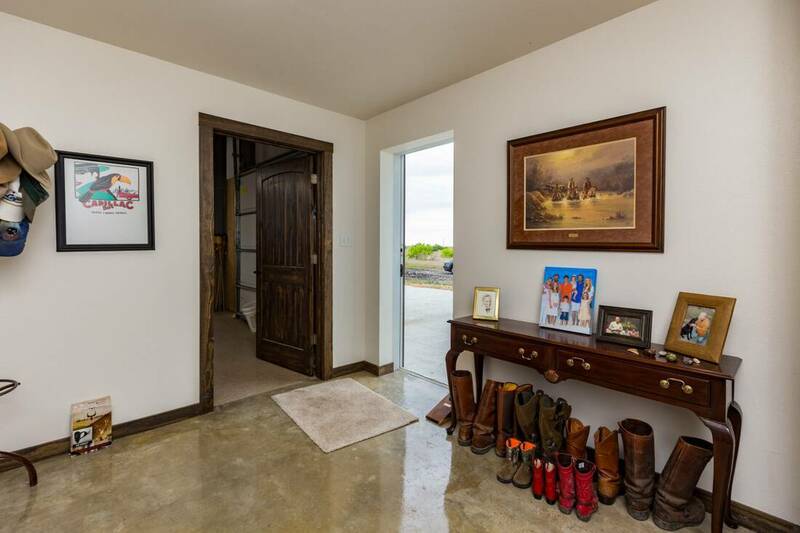 There is also over 3,200 square feet of covered patio space situated nicely to enjoy the ranch views. LOCATION: The ranch is located approximately 3 miles south of Staples Street, east of FM 286 (Chapman Ranch Rd. ), along the east side of County Road 43. IMPROVEMENTS: Barndaminium that is metal building with 18 foot eaves that includes 2,300 square feet of air conditioned space with 4 bedrooms, 3 baths, and a 2,700 SF attached insulated garage. WATER: Two lakes and a low area perfect for Ducks and Geese, as well as a newly completed water well. There is a Reverse Osmosis System on the property.